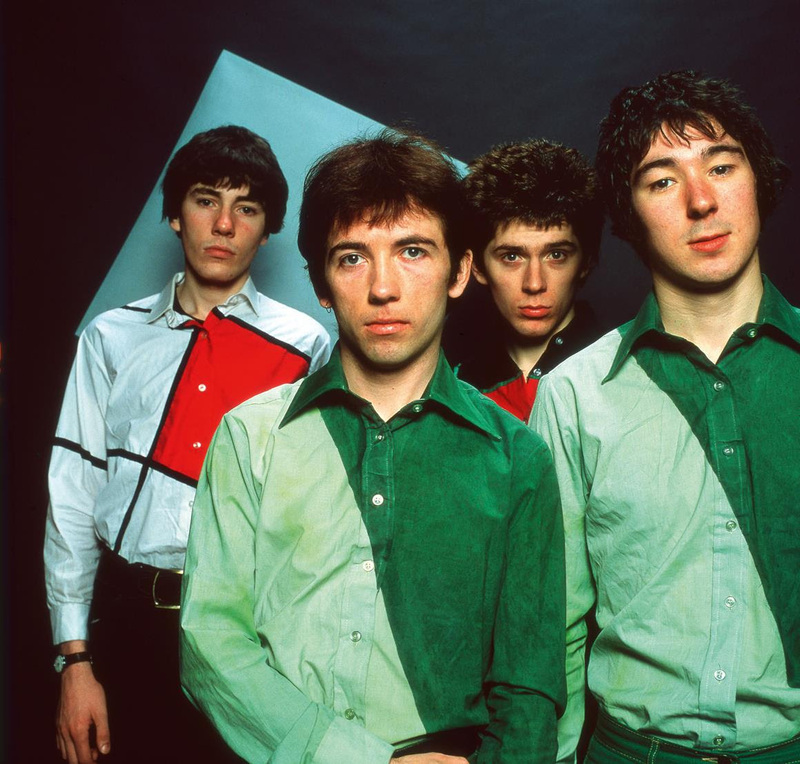 The fine folks at Domino Records were already at work on a series of Buzzcocks reissues long before the band's singer and leader, Pete Shelley, died tragically last month. And while this music was already nearly burned into the brain, it is nice to have two new opportunities to revisit the most fertile period of these Manchester legends. 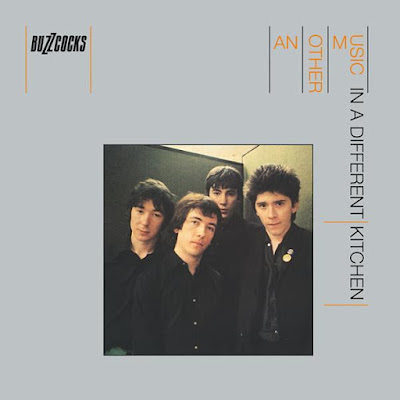 Another Music In A Different Kitchen and Love Bites, the first two full-length albums from the band, both dropped in 1978 and they remain, as these remastered versions remind, fantastic distillations of the songwriting talent of Shelley and his crew, as well as virtually perfect post-punk pop records. Another Music In A Different Kitchen was produced by Martin Rushent and the album still amazes. Seemingly rougher and less poppy -- in spots, at least -- than I'd perhaps remembered, the tunes here positively burst out of the speakers, with brash numbers like "Fast Cars" and "You Tear Me Up" jostling for space with more direct and catchy numbers, like the sublime and pristine "I Don't Mind", still a classic. Elsewhere, "Love Battery" offers up one of the best mixes of the group's punk and pop sensibilities one could find, with Steve Diggle's guitar an absolute beast here. "Fiction Romance" and "Autonomy", similarly, pound, the bass-work of Steve Garvey and the drumming of John Maher carrying these numbers into the void. "Moving Away From The Pulsebeat", the big closer with its electronic effects, indicated that the talents of these four players were not going to be confined by the limited palette then on offer for the first wave of punk rockers. 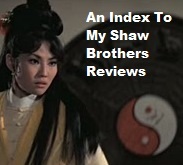 Love Bites, also released in 1978, saw the band team up with Martin Rushent for what seems an even more consistent release. 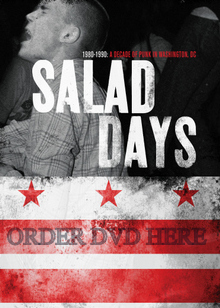 Every cut here, even the risky "Late For The Train", roars by on the back of big hooks and even bigger riffs. "Real World" has an immediacy rivaled only by the big hit after it. "Ever Fallen In Love (With Someone You Shouldn't've)" is just a brilliant single, and the perfect example of how Shelley was able to channel a sort of cynical-yet-resiliently romantic outlook in the service or writing power-pop numbers. 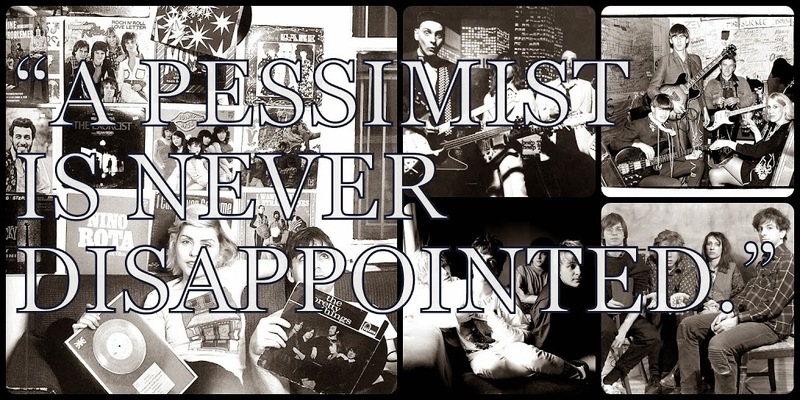 "Operator's Manual", "Nostalgia", "Just Lust", and "Sixteen Again" follow next and they remain punches on the joy button, just perfect compositions. Bassist Steve Garvey's "Walking Distance" and the lighter "Love Is Lies" are only slight missteps on what is a fantastic album. 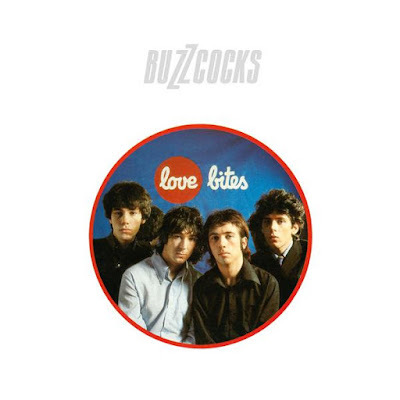 And I say that because two of my favorites Buzzcocks songs ever are on Love Bites. "Nothing Left", on this Domino Records version of Love Bites remains a delightfully-crisp rocker, buzzsaw guitars fighting it out with Maher's caveman drums and we've got what is, really, the U.K.'s version of The Ramones on this track. Finally, "E.S.P." starts with my favorite hook in the whole Buzzcocks back-catalogue, played (presumably) first by Diggle, then Shelley, before the bass and drums come in and carry things forward. It's an infectious cut that alternately roars and bounces, and I still think it's one of the best things Shelley ever composed. If you've never heard these records you're in for a treat as these Domino versions of Another Music In A Different Kitchen and Love Bites sound modern and fresh. If you've already got these albums, and have cherished them for decades, you'll be surprised at how immaculate they sound now, instruments mixed perfectly, with the overall effect of each record even more readily apparent. Another Music In A Different Kitchen and Love Bites are out now from Domino Records. More details on Buzzcocks via the band's official website.